The Lowrance Link-9 VHF radio features a sleek, industrial design with a large, intuitive interface, a removable fi st microphone, a built-in AIS receiver and a front-mountable mechanical design for easy installation. 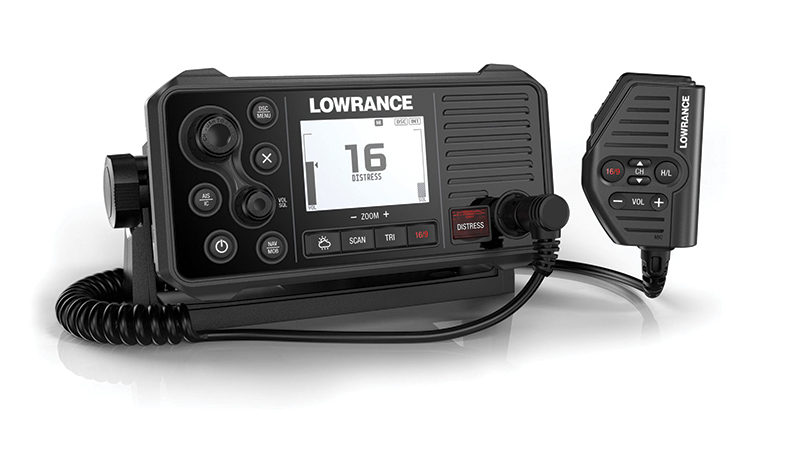 With its integrated GPS receiver, Lowrance Link-9 has four ways to ensure GPS reliability in an emergency. A GPS antenna in the face of the radio makes it suitable for open-air installations, and the SMA connector can be coupled with a GPS-500 antenna. NMEA 0183 and NMEA 2000 connections allow users to get GPS data from a chartplotter or from another antenna.